Suspect Crosses 'Run into Police Station' off Bucket List - Yo! Venice! A good reason not to drive under the influence of drugs. You might crash into the police station! 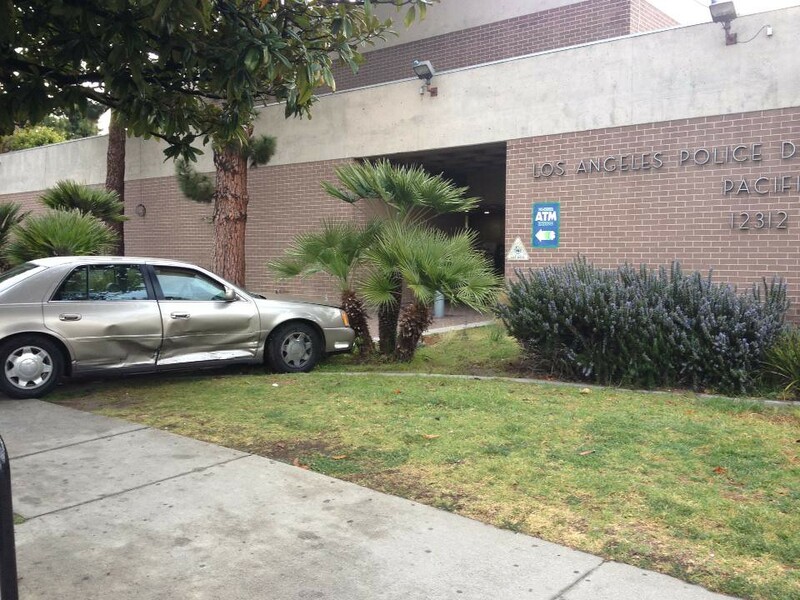 The suspect from the vehicle above had actually caused another traffic accident down the street and while trying to get away the suspect lost control and crashed into the police station. The suspect who was suspected to be under the influence then walked into the station and began to babel to the front desk officers. The officers quickly figured out what was happening and took the suspect into custody.